The famous trees featured in Vincent Van Gogh's magnificent painting 'Wheat field with cypresses'. 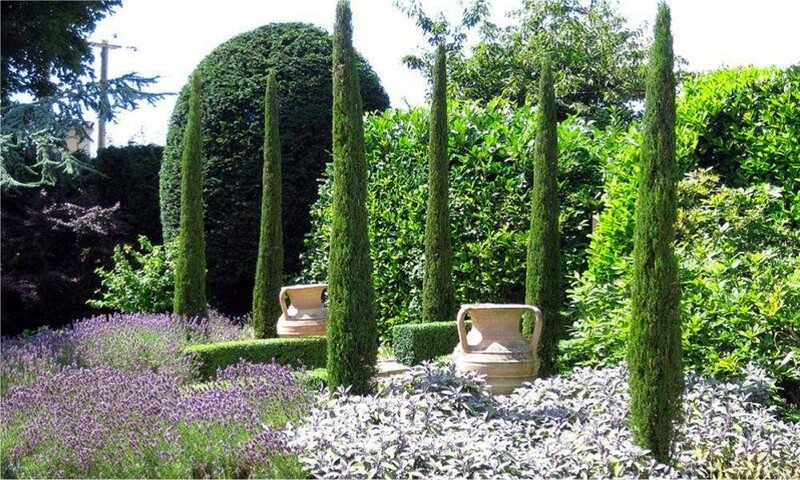 These gorgeous Italian Cypress trees make a superb evergreen feature in any garden. Why not add a touch of Mediterranean class to your surrounds with a set of these? Stately and drought-tolerant, they have a tall columnar habit and look fabulous planted either side of an entranceway or as architectural focal points around the garden. With these trees you could even create you're own avenue by planting either side of a driveway or path. They are equally suited to growing in patio planters or open ground. 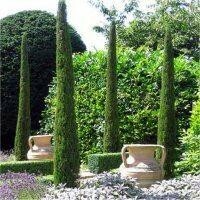 Seen all over Italy, these spectacular architectural conifers will add height and year-round interest wherever you plant them. Not to be confused with vigorous Leylandii hedging conifers, these slender, manageable beauties are slow growing and wont get out of hand. Extremely drought tolerant, completely hardy and evergreen theyll thrive here in the UK and look magnificent all year round - whatever the weather! 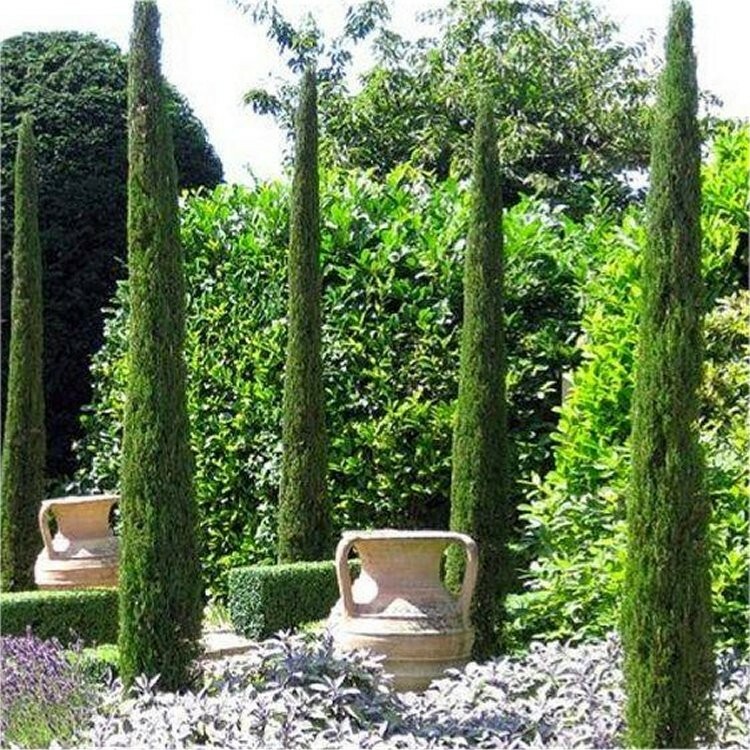 Try growing Cupressus sempervirens in large patio containers or borders to bring a touch of the Mediterranean to your garden. Pair of Trees supplied at approx. 160-180cms tall.